When you step outside the hotel and take a stroll through our gorgeous Seaport neighborhood, you might notice our buildings – while all very different in design – tend to all hit the same height. What gives? You hear planes taking off and landing thanks to Logan International Airport across Boston Harbor. Our buildings have a neighborhood-wide height limit of just about 250 feet to keep things running smoothly over at Logan. The airport tends to have final say in how high our skyscrapers can go, which is why you see the city’s tallest buildings in the historic Back Bay neighborhood along what is known as the High Spine as opposed to the Financial District downtown. A developer previously tried to build the city’s new tallest tower in the early 2000s with a proposal for a 1000-foot tower. The Federal Aviation Administration objected, and the proposal went away. This week, it appears history repeats itself. Millennium Partners, the developer behind Boston’s new Millennium Tower, won the rights to build a new 775-foot tower in the place of a city-owned parking garage in downtown’s Winthrop Square. 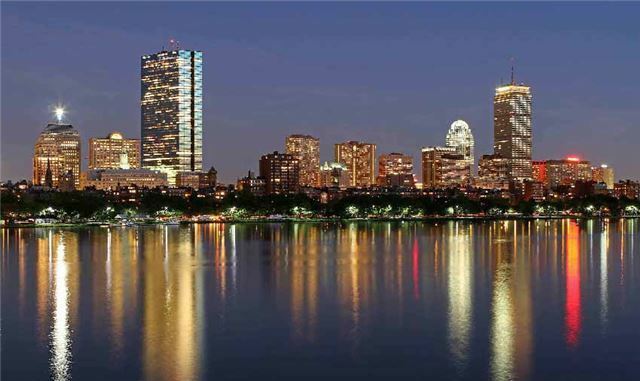 The tower will give Boston a Great Hall entertainment space and feature offices and condominiums. Unfortunately, the proposed building shoots past the recommended 725-foot height limit for that block. The FAA stepped in again, claiming flights would have to move to other runways and fly over communities already complaining about too many noisy planes overhead. Millennium announced Tuesday it would drop the height of its building to 702 feet to satisfy the FAA while still getting to build a building it could “live with.” Either way, we’re just excited to welcome another addition to our ever-changing skyline!